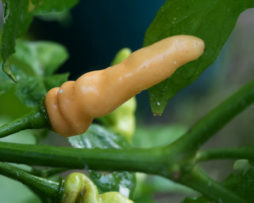 This chilli pepper is a variety from Mexico. 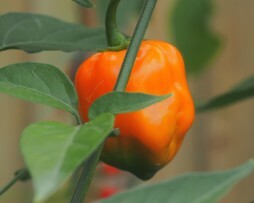 Some say that the orange habanero variety is much more spicy of the red one. The plant grows to about 90cm and is a sturdy good producer. The fruits ripen from green to orange. Maturation takes place late in the season. 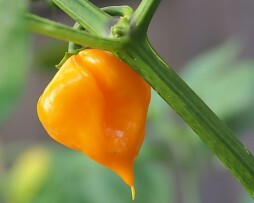 The peach colour variety of the Bhut Jolokia is not only unique in color, but also in its texture and flavour profile. 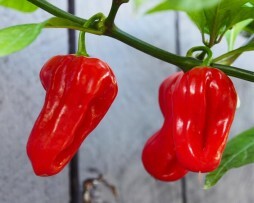 It is quite productive and would be an awesome addition to your chilli pepper garden. 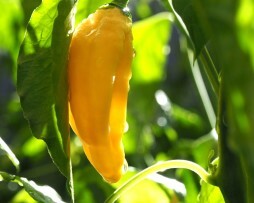 The Peach Bhut Jolokia has a more crunchy firm flesh than other Jolokia varieties and also a slightly sweeter flavour. 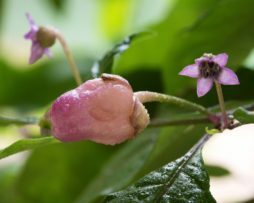 It is said to get its name from its colour and the hint of peach aroma as you bite into it. So far one of our all time favourites…This variety is said to come from the jungles surrounding the Peten Lake area in Guatemala. 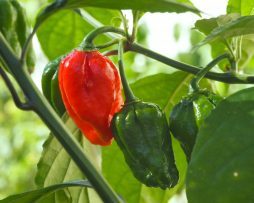 Over 26 Mayan ruin sites are in this area and it is thought that this chilli pepper was cultivated and used by the the ancient Mayans. 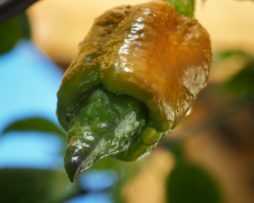 Flavour wise it is just spectacular – instantly you are hit by a warm heat that builds to a habanero level – THEN the sweet citrus burst comes next. You want to make a chilli sauce this is the way to go. 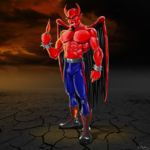 You have to try it to appreciate the awesomeness of this one. Good overall producer of pods growing to about the usual 3ft tall. 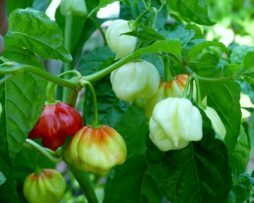 The Pimenta Lisa is an unstable cross between Pimenta de Neyde x White Habanero, the creator naming it after his daughter ‘LISA’. We don’t sell many varieties that haven’t proven themselves stable but this is one of the special exceptions. We fell in love with the colour, taste and shape – calling it fat bullet as that’s what we think it looks like. It has awesome foliage that is quite a number of shades of green with dark stems. The plant itself grows to less than a meter and the fruit go from vibrant deep dark peach to almost white. And wow what an fruity sweet aroma it gives off and the taste is actually peachy like. Even if yours doesn’t grow quite like ours we almost guarantee you will love the unpredictable results. Sometimes the fun of growing is in the surprises we get. 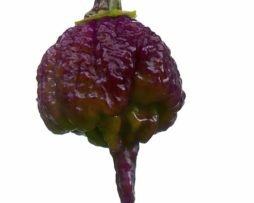 We love the Bhut flavour but this one is an eye catcher with its purple pods. Pods start green and then turn purple before transforming into a vibrant red. 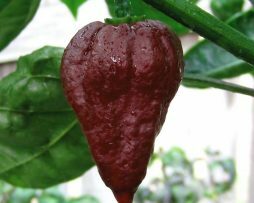 It is a natural purple variant of the regular Bhut Jolokia. 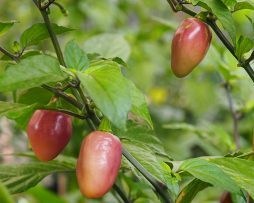 The Purple Habanero is a rare one from the USA and is a great looking chilli. One of the few that starts from a pure white and matures through a light purple, then to a deep purple/ brown. It’s has that great fruity Habanero taste and a nice rounded heat. They are also very large and very productive. Probably one of the tastiest Habs!